Amid all the excitement over the debut of the film Red Tails, last weekend, I confess I had a secret wish. I was hoping to see a little herstory, too. Hoping that the there would be a shout out to the women that were also a part of the “Tuskegee Experiment” that gave African Americans the first opportunity to serve the U.S. military in the field of aviation. The women who worked along side these amazing men. The women that had to push past barriers put in front of them because they were black AND female to achieve their dreams of becoming pilots. Surely now, I thought, their story will be told. I mean hey, it’s 2012, right? We all know that whatever we’ve done, it took us working together to do it, right? Barack and Michelle fist bump, right? Well, there weren’t ANY homegirls. None. So please allow me to introduce to some, and reaquaint with others, the ORIGINAL FLY GIRLS OF WORLD WAR II: Willa Brown Chappell, Janet Harmon Bragg, and Mildred Hemmons Carter. All three of them were there making history right along side the Tuskegee Airmen. All three of them married pilots. All three of them have amazing life stories of vision, service, hard work, and determination that opened the doors – and the skies – to ALL women. Six decades after our Tuskegee sisters broke the barrier in the military, former Marine Captain Vernice Armour became the first female African American combat pilot in 2003. Yes she did. Yes we can. 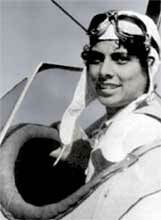 Willa Brown Chappell was instrumental in training more than 200 students who went on to become the legendary Tuskegee airmen. 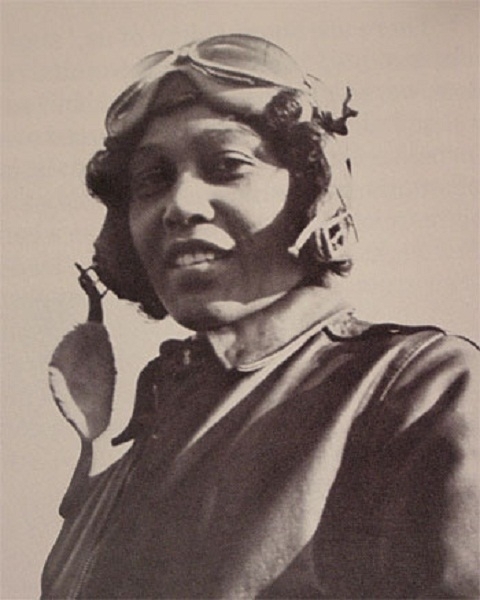 Janet Harmon Bragg -The first black woman to receive a commercial pilot's license. 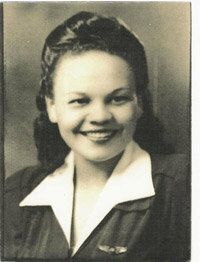 Mildred Hemmons Carter - member of the 1st graduationg class of Tuskegee Institute's Flight School. Thank you. It saddened me that no black women were included in the movie even as wives and mothers let alone as equal professionals. Guess that’s a story for Debbie Allen, Kasi Lemmons, Gina Prince-Bythewood or Julie Dash. I hear you, Akazia. No more invisible women. Great blog Sherrie. You continue to educate and inspire us with your intelligence and passion. I am so proud to be your friend, thank you for this gift! Thank you, Ruth. The feeling is totally mutual. Sistagriot…..I’ve been looking deeper into this subject….Several years ago, I interviewed Mildred Hemmons Carter to publish a children’s book about her. It is in the making and publishing process right now, and I hope to be releasing it by late March or early April…..I am also trying to hit some schools here in Alabama to push this herstory….more children’s books to come on these ladies…Thank you for this blog..enjoyed it! How wonderful that you were able to interview her, and how fantastic that you are writing a children’s book and promoting our history in schools. Thank you for your efforts, and I look forward to seeing your book! Thanks for this post. My father was among the Tuskegee Airmen. I wish he was still around to give me some first-hand insight. All the more reason for you and others to press this important research and revelation. Salut. Thank you, Phillip! I apologize for taking so long to acknowledge your comments, but this is my first time seeing your post – don’t know how/why but I missed it all this time! Good luck to you with your Bronzeville Virtual Storybook and your other endeavors – I LOVE the book you did with your mother,too! The need to show how Black Women were involved in our history is extremely needed. We must continue to tell our sisters’ stories and the many contributions that they have made. And, yes, I totally agree, a movie should be made to demonstrate some of these contributions. Love this blog. Thanks, Natalie – your blog is awesome,btw!